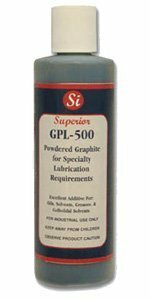 Pure Graphite Powder | Lubricant Additive | Conductive | Superior Industries, Inc.
A very fine charcoal powder made from pure graphite, GPL-500 can be used in a variety of lubricating applications for advanced lubrication. GPL-500 offers superior lubricating properties for multiple types of lubricating requirements. 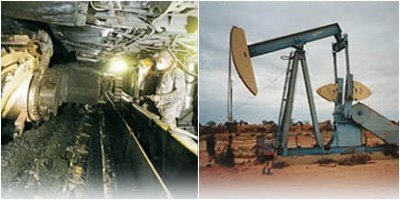 GPL-500 can be utilized as a dry lubricant in its natural form or it may be added to oils, greases, or colloidal solutions to achieve specialized lubricating compounds. This form of carbon is naturally conductive and GPL-500 displays electrical conductive properties required in certain types of lubrication. These properties are largely attributed to the vast electron delocalization within the layers of carbon. GPL-500 is recommended for use in oils, solvents, greases or other materials as a high temperature additive. MGPL-500 may be used up to 10% by volume to produce a low-friction coating. 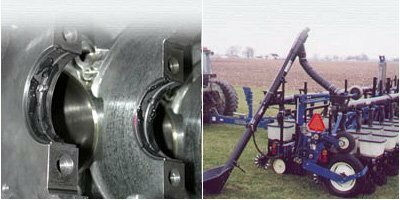 It ensures proper lubrication with reduced friction in high-speed planter plates and other farm equipment. GPL- 500 has shown to significantly reduce wear on planter plates. GPL-500 employs a technically advanced process to produce the purest granulated graphite on the market today.GPL-500 is packaged in three container sizes, (eight ounce squeeze bottles, one gallon cans and five gallon containers) for your convenience. Simply mix GPL-500 into your oil or grease for superior lubrication or use as a dry lubricant. GPL-500 has proven to be the product of choice as a dry lubricant for locks, hinges, latches, sliding surfaces, threaded fittings, sprockets, chains, gears, electrical connectors, knife-type switches, spark plug threads and much more. GPL-500 can be added to certain types of Urethane to produce an extremely slick surface which helps eliminate friction and excessive wear on rubber, metal and other materials.Graphite has a particular form of carbon distinguished by hexagonal crystallinity. Graphite flakes slip over one another, giving it its greasy feel. Graphite has long been used as a lubricant in applications where “wet” lubricants such as oil cannot be used. Because the atomic bond of graphite is stronger than that of diamonds, GPL–500 provides super lubricity for extreme temperatures up to +2400°F (1315°C). Applications are those that involve extreme high heat and therefore demand materials that will not melt or disintegrate under such extreme conditions. This combined with its low coefficient of friction make GPL–500 ideal for an additive in oils, greases, and colloidal solutions. It reduces friction and dissipates heat in order to keep the moving surfaces cool. GPL–500 mixed with grease and oil is utilized as a lubricant for heavy and light bearings. It is Ideal as a heavy-duty lubricant where high temperatures may tend to remove the grease. GPL–500 is extremely soft (soapy feel), iron-black color; metallic luster; low specific gravity; odorless, infusibility, tasteless, non-toxic and chemically inert to acids and alkalis under most conditions.